The video version of this blog is here. We’re on our way to Releasing Kings in the Netherlands and Poland in a month. Friends have reported evidence of revival in England, Finland, Denmark, and Germany. My sense is that all of Western Europe is ripe for such a harvest. Doing business conferences in such an environment gets a little complicated, as you can imagine. Historically, revivals are a mix of God pouring out His Spirit and His presence in an experience that people cannot deny. The second earmark is that they are led my men and women who understand something about who they are in Christ, and have an ability to release it to others. I got saved in the Charismatic Renewal in 1970, Sue and I went to Toronto for a week in the mid 90’s, and we hosted the guy who led the Lakeland revival. If you haven’t experienced a revival, here’s my take: it’s fun, drawing, thrilling, healing, holy, joyful, tearful and miraculous. You can feel and see God’s presence move through a crowd like waves. You want to drink it in, bathe in it, stay in it, and get intoxicated by it. It feels exactly like “times of refreshing from the presence of the Lord.” Everyone leaves with a desire to come back the next night and do it again… hence, the meetings often go on indefinitely. People approach these moves with reverence and holiness, while running toward them like a child leaping into the arms of their father. People from 60 nations were in Toronto every night. They took it home with them and spread it around the world. Another historic earmark of revivals is that they eventually end, in spite of man’s best efforts to keep them going. The result is that people are saved and healed and filled with God’s Spirit by the thousands. Please hear me: “I’m a big fan of revival.” …Such a big fan that I want more, Lord! Our concept of what God does in revival has been defined by our church heritage: to see people saved, healed and filled, and to create the same atmosphere in the church so that a visitation becomes a habitation, and the church grows as a results… also all good. There’s more – God’s people, whether Jews or Christians, have always been slightly prone to “consume” revival for themselves rather than share it. God has always had a little trouble getting revival out of the box/meeting format and into the culture. Acts 14:6 says, “In the past, He let all nations go their own way.” So have we. Our great commission is to make disciples of all nations. When that happens, revival becomes a reformation and it touches all seven mountains in the nations. I’m suggesting that our cities and nations should be our goal. We should experience revivals in meetings in buildings and we should extend the manifestation of God’s presence into our cultures and change nations. That means having a plan… to release these sons/Kings to carry revival and reformation into every mountain. Releasing Sons and Kings – having been an engineer sitting in a pew and a pastor leading a congregation, I’ve gotten to taste both sides. Here’s what I’ve learned. Everyone is called to ministry in three areas. We have to give ourselves permission to function in all three areas – no small challenge. 1. Gifts – I’ve been amazed that God could use me in the prophetic and the miraculous. When we pray for people in business conferences, we offer to pray for their businesses. There is no line preventing God from doing other things. People are so often saved, healed and touched by God that I’ve learned to place a hand behind them to hold them up if they get wobbly. People are convinced of the reality of God’s Kingdom by experiencing God more than by an intellectual or theological argument. It’s not one or the other; it’s both… sound doctrine and personal experience with Jesus. 3. 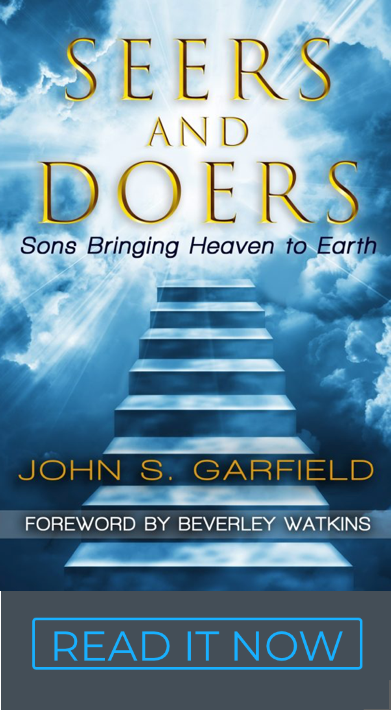 Dreams and Desires – The third ingredient of a Kingdom reformation is helping people to touch the desires of their own heart, find out that God has the same desires, and step into them. We are all called to different mountains and involved in different parts of our culture. One size doesn’t fit all. The goal is not just bigger meetings. The Kingdom of God is “decentralized,” and flows very naturally through our hearts. We naturally enjoy doing what God put in our hearts; we’re naturally good at it, and we carry an anointing for it. Mountains – Let’s imagine sons/Kings taking revival into every mountain. What would a reformation look like if it got out of the meeting box and touched a nation? What would the goals be in those mountains? Government – Imagine political leaders who really represented and served the people, who carried the wisdom of God, who could unite opposing parties around an idea that met everyone’s goals. It’s not that hard! There is enough money in the world to support free markets and feed the poor. There is a way to meet the goals of both sides of every argument. There is a way to introduce the 3rd party into the debate – God. Media – Imagine a free press being watchman on the wall, who could shine the light of God on the hidden things and expose corruption and every work of darkness to such a degree that it would be hard to sin. Imagine highlighting the works and will of God, contrasting it with the works of the enemy to shame evil and elevate the triumph of God’s Kingdom in our cities. Business – Imagine free markets that crossed every barrier between nations, classes and races to promote the ideals of work and creativity to produce value and multiply wealth. Imagine the concept of creating wealth being very easy, and imagine someone with this wisdom and anointing teaching you how to do the same thing with your dream. Imagine businesses defining their kingdom ministry calling as part of their corporate business plan. Watch this example. Arts and Entertainment – Imagine books, art, music and movies that inspired people to dream, and told the story of how God wants to grant the desire of your heart and work with you to make your dream come true. What if artistic expression had a prophetic theme that resonated in the hearts of all who heard it, because it was the same message that the Holy Spirit was already speaking to them about? Two great examples are movies: Rodriquez andLech Walesa. Education – Imagine teachers who went beyond academic skills, and taught their students to connect with their hearts to find the vocational application of those academic skills. What if that vocation was their Kingdom ministry that married wisdom and revelation to create value and wealth to bless the nations? Family – Imagine every family led by a husband and father who consciously released the dreams of his wife and children. Imagine wives who made it their priority to encourage their husband to dream, and who spoke prophetically into it. Church – Imagine churches with a vision to mature people beyond just salvation, to help people find their mountain and encourage them to play their role in society. What if people were taught to find their ministry and vocation in the same endeavor? Want to know a secret? God already has some first fruits, who are operating as Kings in every mountain, with exactly these goals. He’s raising up many more – a generation; an army. You’re being invited, too. Revivals are coming. It’s our stewardship of God’s presence that will make them reformations that fill the earth with God’s glory and build the Kingdom. We can do this!